When you want to put your home up for sale, it is likely that you will focus on a number of home improvement projects that are guaranteed to increase its value. Ultimately, you want to get a good return on your investment especially if your home is your biggest financial investment. Among the things that are bound to affect the value of your home are plumbing fixtures. Plumbing is a very important aspect of the value of your home hence an important aspect of raising the inherent value of your home. In fact, your plumbing is as important as the curb appeal when you want to sell your home as it can significantly raise the value of your property to even surpass the original buying price.No buyer will want to purchase a house that has crumbling pipes that easily clog or are corrosive and not properly insulated to survive harsh elements of weather. Remember, when valuing property prior to a sale, it must be inspected for important details that include the quality of materials, energy efficiency, as well as the quality of plumbing among others. Introduce elegant fixtures. Plumbing fixtures play both a functional and aesthetic role on your property. Therefore, introducing elegant plumbing fixtures will go a long way in not only making your home nicer but also improve its value. While plumbing fixtures like handles, faucets, sinks and toilets last long, they do not remain nice for the duration they last. Thus, replacing them with new fixtures that are attractive, stain resistant and scratch chip is an excellent way of giving your home an updated feel. Besides, you can be sure to increase the value of your home with plumbing fixtures as you are likely to find better models or fixtures with improved functionality. Replace old pipes. 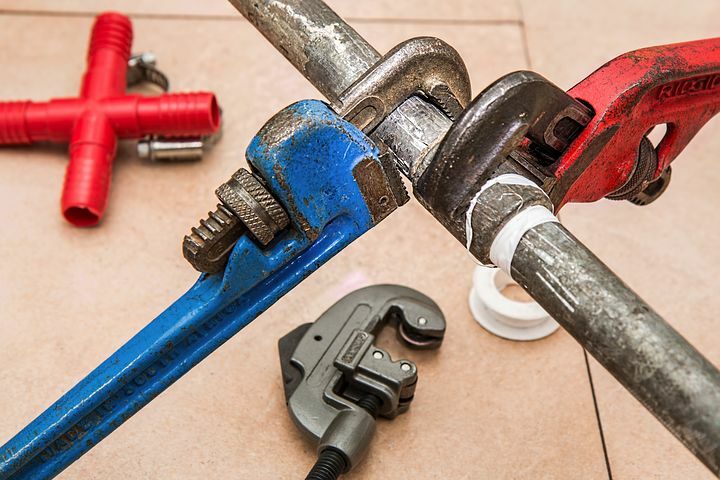 Your plumbing system is incomplete without piping. Therefore, you will do well to consider replacing the old pipes with new ones is a worthwhile investment. Most importantly, make sure that you opt for pipes that are made with the best possible materials that will not corrode or release harmful substances in your water. New piping translates to an efficient and reliable plumbing system that contributes to the value of your home. Generally, installing new pipes will make a great improvement to your home when you set out to sell it. Upgrade your kitchen plumbing. The kitchen is one of the major areas that prospective buyers pay attention to when making the purchase decision. Therefore, giving your kitchen plumbing system an upgrade will certainly improve its value. You can achieve this by changing the sink or even installing a modern faucet that comes with better features. These updates will not only change the feel of the room but also go a long way in improving the value of your home. Your plumbing system is critical to the value of your house especially when you want to put your property up for sale. However, you need to make sure that you only opt for those plumbing ideas that are guaranteed to increase the value of your property. Remember, not all plumbing improvements will contribute to the value of your property. Most importantly, avoid the temptation to focus on personal preference when dealing with the plumbing fixtures. In fact, you will do well to seek the help of professional plumbers to guide you on the most important plumbing improvements that will help sell your house quickly with Ready Steady Sell. Otherwise, quick house sale companies are also an option when selling your property especially when you need to sell your home due to reasons such as repossession or divorce. These companies will buy your house in its current state thus, you will not need to make any improvements prior to the selling.